MSD Animal Health (known as Merck Animal Health within the United States and Canada) recently announced the launch of EXZOLT® (fluralaner), the first systemic treatment for poultry red mite infestations – a novel approach that virtually eliminates poultry red mites in production houses of any size or type, including free range. Conveniently administered via drinking water, EXZOLT also improves poultry welfare by reducing stress associated with other forms of treatment, and minimizes the exposure of workers and birds to chemical sprays. Poultry red mites are a top five cause of economic loss in European layer and breeder operations and in many other countries, as infestations cause significant stress to poultry, decrease reproductive potential in males, egg production in females and weight gain in young birds. 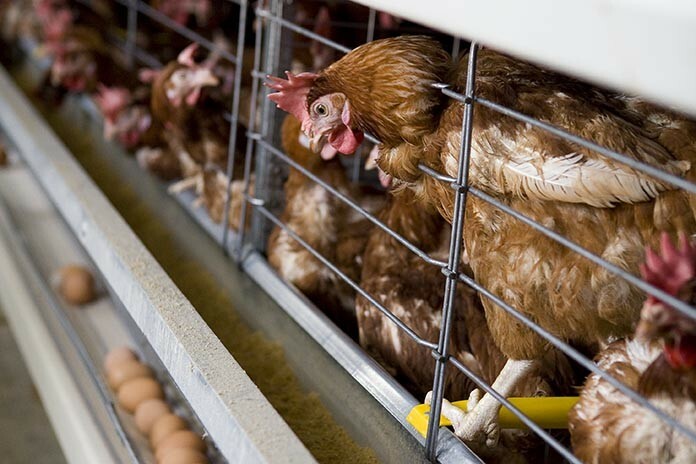 The total annual cost of poultry red mite infestations in the European egg laying industry is estimated to be €360 million, with more than 430 million hens in all production types – pullets, breeders and layer hens – suffering from infestations. Poultry red mites are nocturnal feeders that hide during the day under manure, on roosts and in cracks and crevices in the chicken house, where they lay eggs, making them difficult to eliminate. Previously available treatment options are labor-intensive and/or have achieved limited success in eliminating or controlling infestations. Mite infestations affect poultry workers as well, causing gamasoidosis, a skin condition characterized by rash and itching. The safety of EXZOLT has been established through comprehensive clinical research studies. These studies demonstrated that EXZOLT virtually eliminates poultry red mites in production houses, and is safe for the birds and for human handling. No significant adverse events were reported. “With a zero day withdrawal period, eggs from chickens treated with EXZOLT are safe to consume, making EXZOLT ideal for maintaining the health, performance and welfare of flocks while continuing to meet market demands and avoiding economic loss for producers,” adds Dr. Barbosa. EXZOLT® works on the parasites’ nervous system and kills mites that have taken a blood meal, while remaining safe for the host animal. Chickens are treated during an infestation. This ensures that both adult mites and their eggs are killed. Clinical data from three European dose-confirmation studies and an extensive nine-site field study showed EXZOLT provided virtual elimination of poultry red mite populations in all treated layer, breeder and/or pullet houses. In these studies, the recommended EXZOLT dosage regimen (0.5 mg/kg body weight twice at a seven-day interval) achieved 99 percent mite-killing efficacy for at least 15 days, which spans two mite life cycles. EXZOLT starts working in mites within four hours after mites start to feed on treated chickens resulting in effective elimination of the mites.